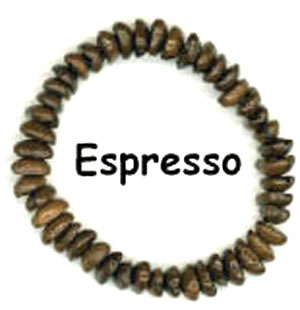 Espresso Blend - It is known that wearing a strand of coffee beans can bring energy and good luck and everything you desire can come your way. One of the most important projects in Costa Rica. Proudly made by the women of Costa Rica. A portion of the proceeds goes to Vitamin Angels, to save kids from going blind.